Guess who is mad as hell and isn't going to take it anymore? The RapidShare file service says it has had it up to its storage capacity with the treatment it's getting from Capitol Hill here in the United States, and has hired a lobbyist to tell Congress what's what. 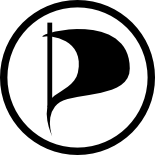 Five years ago the first Pirate Party was founded in Sweden. In the years that followed the Party shook up the political climate in its home country and the European Parliament where it holds two seats. Now, five years later, founder and chief architect Rickard Falkvinge is stepping down as leader. He will focus on promoting the Pirate position internationally, while Party deputy Anna Troberg will take over the reins. It has been a long and tumultuous 5 years for the Pirate Party and its leader Rick Falkvinge. Riding on the wave of public protest after Swedish police raided The Pirate Bay’s servers in 2006, the Party soon became a political force to be reckoned with. The Party gained interest from the mainstream media and at the Swedish general elections in the same year it became the third largest party outside parliament. Inspired by the small successes the Party booked in the first year, Pirate Parties were founded in dozens of other countries as well. Fast forward three years and the Swedish Pirate Party peaked at over 50,000 members just before the European elections of 2009. In these elections the Pirate Party got more than 7% of the total votes earning them two seats in the European Parliament, a major victory. Today the Pirate Party looks back on its short history as it celebrates its fifth anniversary. However, this festive day also brings a surprise that nobody saw coming. Rick Falkvinge, Pirate Party icon, founder and leader announced today that he is stepping down as leader. Effective immediately he will be replaced by his deputy, Anna Troberg. According to Falkvinge, new leadership is what could take the Party to the next level. However, the former Party leader isn’t hanging up his Pirate hat just yet. He stays on as the Party’s chairman while he broadens his scope. Freed from the political shackles, he will continue to fight for the same issues he’s championed for the last five years, but now more internationally oriented than before. In the coming year Falkvinge intends to work as an ‘international evangelist’ for the Pirate movement and focus on Information Politics. Part of that will include a guest column here on TorrentFreak, as well as a new English-language blog at Falkvinge.net. Looking back on the last five years it is impressive to see what the ‘Pirate’ movement started by Falkvinge has accomplished. There are now Pirate Parties in forty countries around the world, with city Councillors in Germany, Luxembourg and the Czech Republic and formerly a member in the German Parliament. It will be interesting to see how the Parties fare in the coming half-decade, where privacy and technology issues are becoming more relevant than ever before. Meanwhile we congratulate Anna Troberg on her new position and wish her all the best. Rick Falkvinge – the man who made Pirates Political – is saluted for a half-decade of hard work as the Swedish Pirate Party leader.